Weekly spreads are one of the main components of my bullet journal. 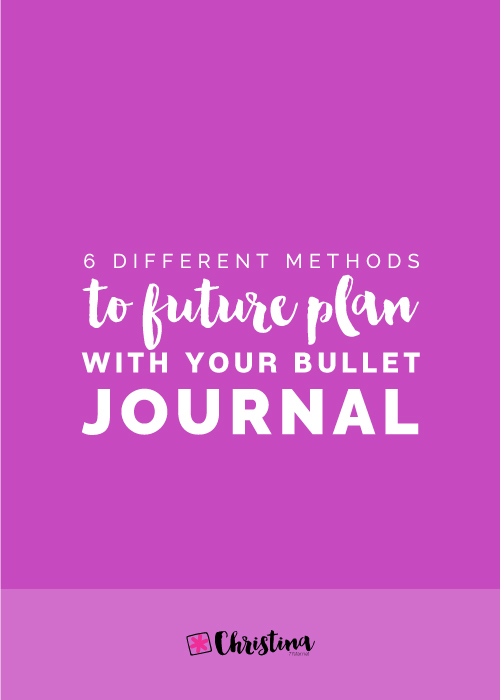 This type of spread is not part of the original bullet journal system that Ryder Caroll created. However, for me it’s one of the most useful ones. There are people that think that weekly spreads are not important in their planning. If you think that such a spread is not suitable for you, then you can totally skip it. However, if you decide to give the weekly spreads a try, that’s great! There’s a million and one ways to create a weekly spread, and today I’ll show you the steps I take to create mine. A weekly spread or overview is a way to plan your upcoming week and visualise all the things you need to do during that week. 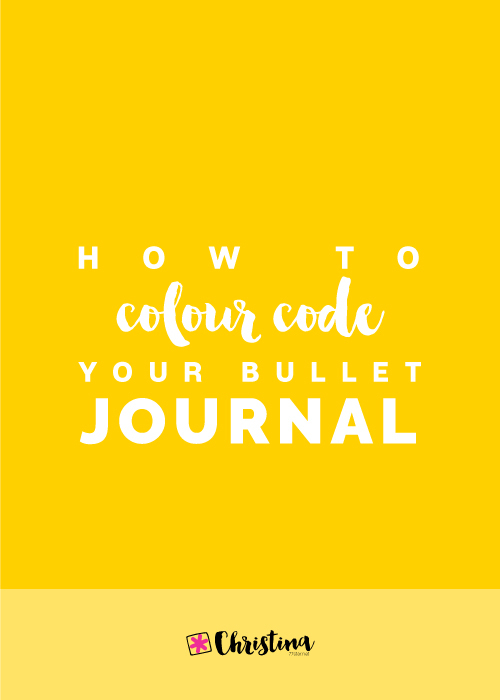 Since the bullet journal system works with the creation of your dailies the day before, I wanted to find a way to know before hand what I had planned and needed to do during the week. So, the weekly spread works perfect for me. 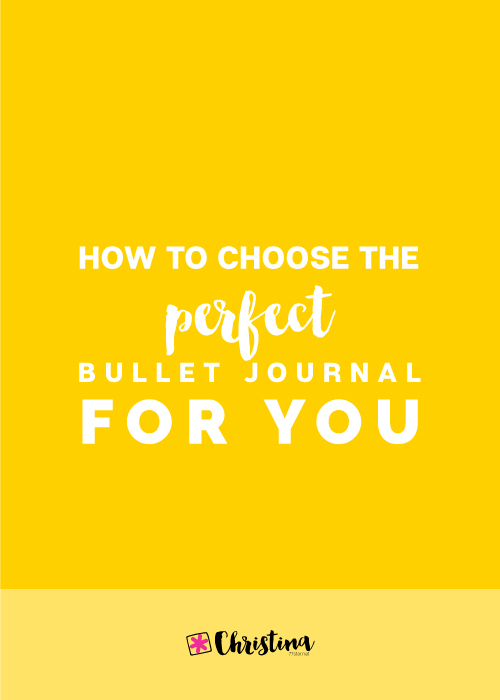 Usually the weekly spread consists of the days of the week, plus any other category you want to include in your planning. You can add your trackers, meal planning, shopping list, projects, next week list, housework, events, tasks, goals, the weather, exercise log etc. The list is endless! 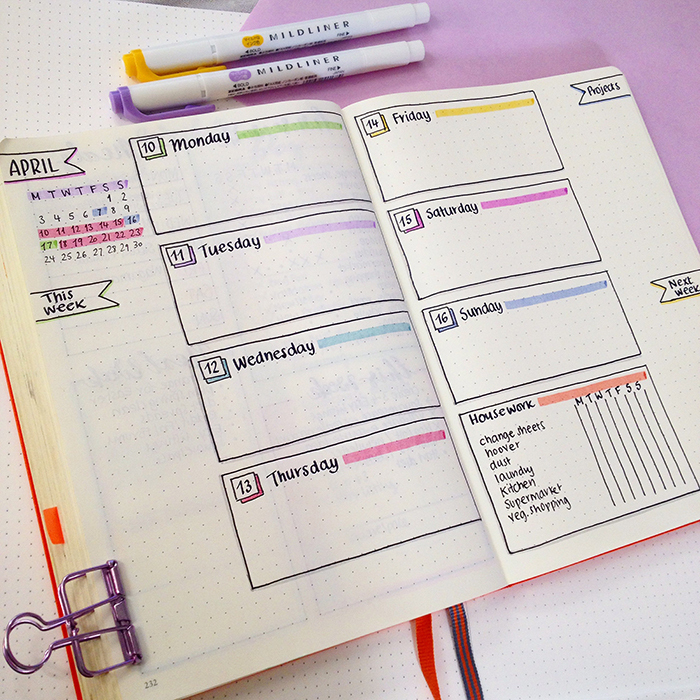 You can adjust your weekly spread to your needs and add only the things/categories you want. Also, you can try a layout one week and if it doesn't work for you, you can change it around or choose something completely different the next week. 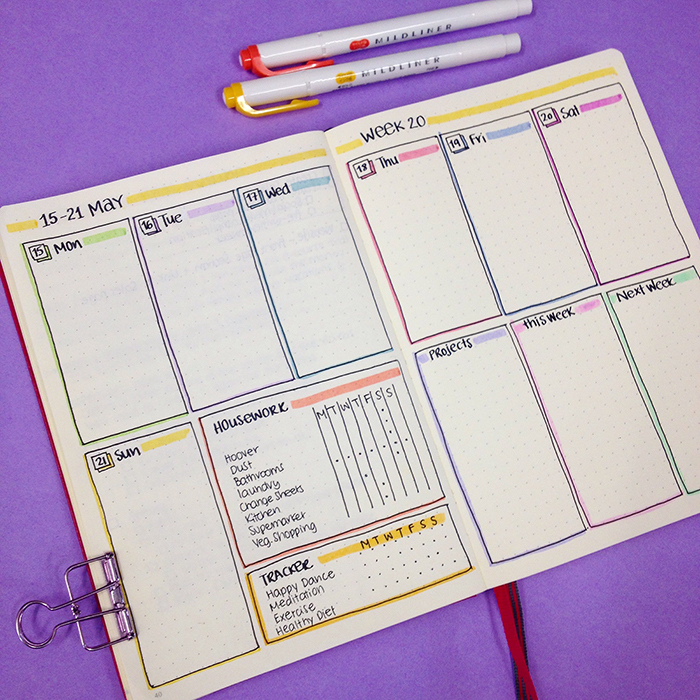 For me the weekly spread is very important for my planning and organisation. It gives me peace of mind and a head start for what I’ve planned for the week ahead. Every Sunday I’m looking forward for the time I set aside with a cup of coffee to plan the next 7 days. In a way, I empty my thoughts and all the things I keep in my head, that I want to remember to do in the upcoming week. I can see at a glance which days of the week are the busiest ones, and add or remove tasks accordingly. Also, knowing how each day looks, I can plan further events/appointments/tasks on the days that I have more time. Weekly spreads make planning and task organisation very easy to do, and that helps me to stay more focused and productive. 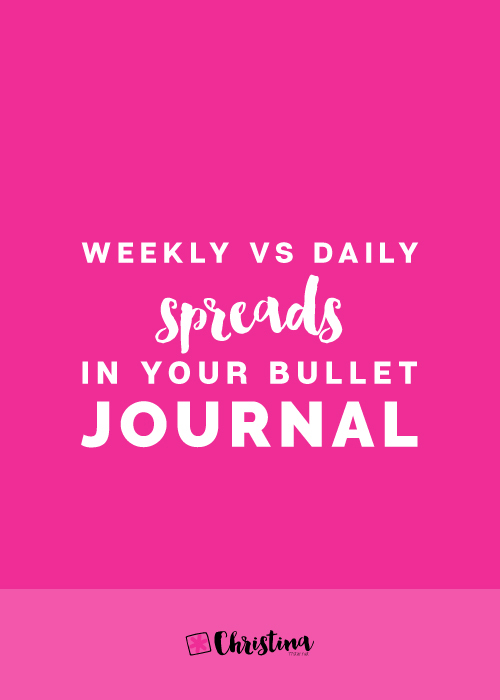 Also, if you are very busy and you don’t have time to create dailies each day, you can choose to have only a weekly spread instead. I do that all the time. One of the best things of bullet journaling for me is the fact that you can change any layout to suit your needs. 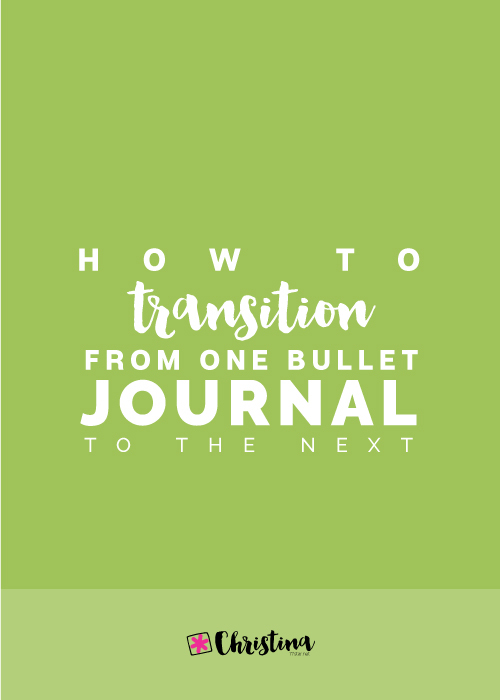 You can create your own totally from scratch, or you can get inspired from all the amazing fellow bullet journalists online. I keep a folder in my photos on my phone with all the screen shots of weekly spreads I like on Instagram or anywhere else I find them. So, every Sunday, I’ll go over them and see what I like from each one, and what I’d like to include in my weekly. You don't have to recreate a weekly exactly as you see it, unless of course it works perfectly for you. For me, I like to take elements from various ones and create a new one for myself. For example, I might like the colours that someone has used, or the font they used, or the way they arranged the boxes etc. You can also create a board on Pinterest to keep the spreads that you like the most. 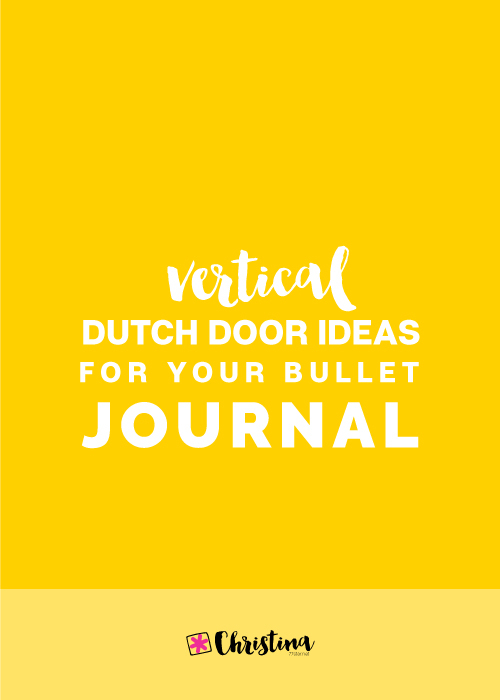 Check out my Bullet Journal Inspiration board as well, for lots of amazing layouts. 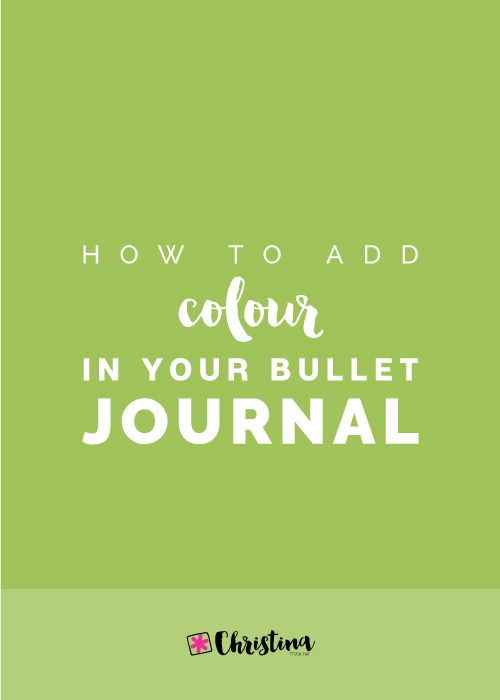 To make my life easier, I have noted down all the measurements for my bullet journal. So, I don't have to count boxes and dots again and again. For the Leuchtturm1917 A5 notebook that I’m using, there are 26 squares horizontally and 38 vertically per page. 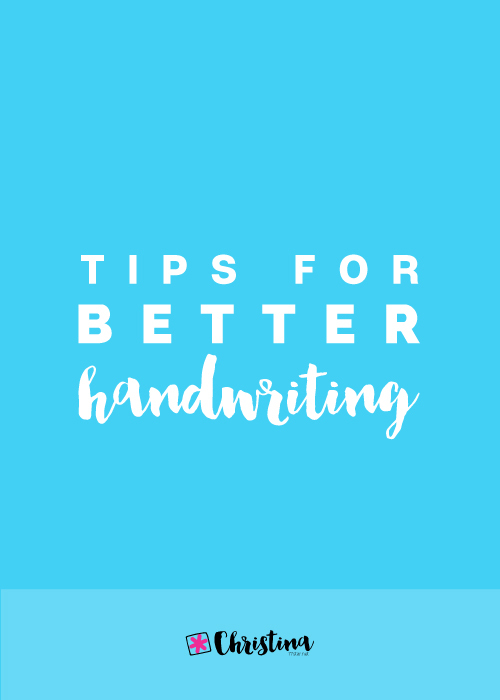 There are also 27 dots horizontally and 39 vertically per page. The dimensions of the boxes I use for the days of the week are 8x17 squares when they are vertical, and 18x8 when they are horizontal. 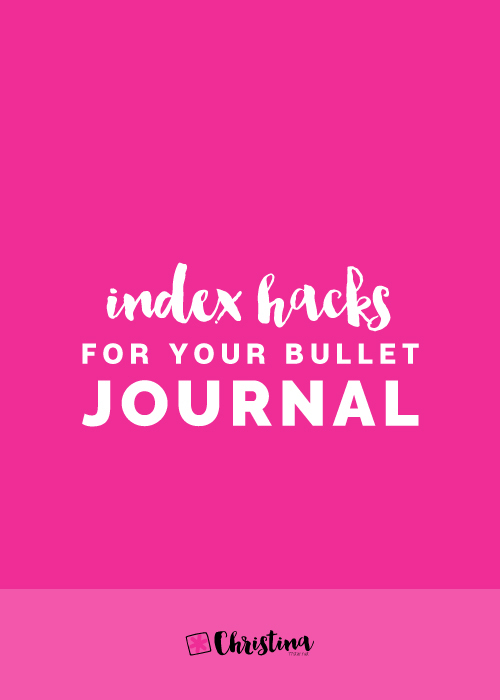 Plan ahead how you'll use the space on the pages and measure everything in detail. I like to use a dotted page to plan the layout and see how I can rearrange the categories on the page. 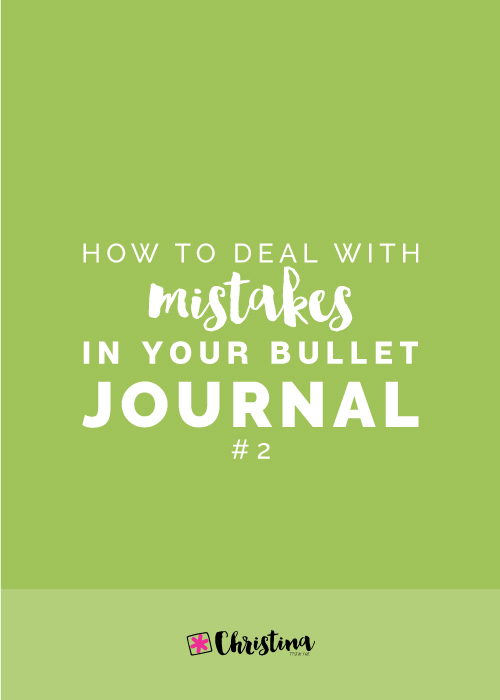 It's easier to play around marking the sections with a pencil and planning the spread on the paper before transferring it in your bullet journal. You can find a dotted paper printable at my Etsy Shop in letter size and A5 size. Use everything around you to get inspired and be creative. Like for the weekly spread above, I got inspired by Big Brother UK at the time and decided to use the superhero theme on my spread too. Just be creative and have fun! If you find it difficult to re-arrange the sections on the page, there's another way to do it. Simply cut the boxes of each section to measure, and start placing them around the page like a puzzle. It might take more time in the beginning, but once you've done it a few times, then you won't need these pieces any more and you'll be able to imagine the layout in your head. For even more inspiration make sure you join my Newsletter in order to get access to the Resources Library, where I share lots of weekly spread layouts among other things! 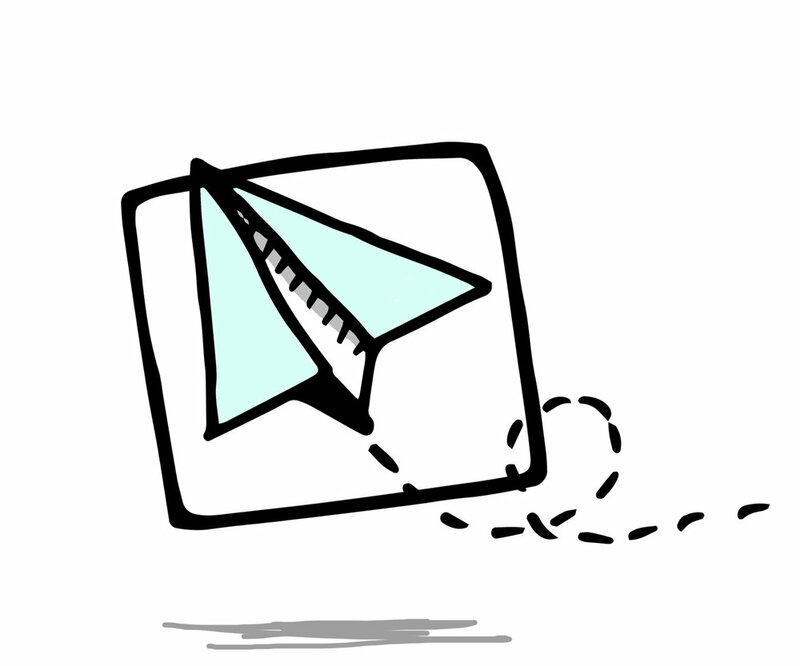 Get all the inspiration delivered to your inbox twice per month. Yay! Thanks for subscribing for my Newsletter! Check your email to get the password for the Resources Library!